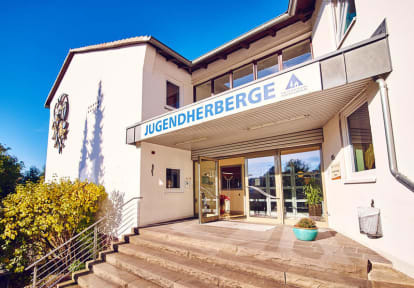 Our DJH-Youth Hostel in the city of Hagen is centrally located in a green area with a big space to do sports and fun: beach volleyball, basketball, soccer, table tennis, a space to have a bonfire night and to do barbecue. 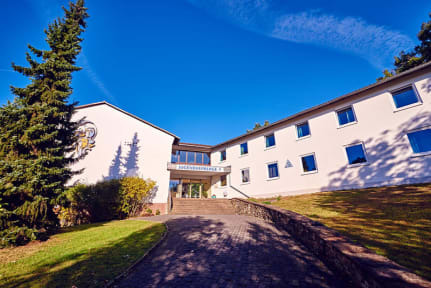 The Youth Hostel Hagen is also an ideal starting point to discover the Ruhr Area as well as the Sauerland region. We recommend to pay a visit in the LWL-Open-air Museum Hagen – Westphalian State Museum for Crafts and Technics („LWL-Freilichtmuseum Hagen – Westfälisches Landesmuseum für Handwerk und Technik“), Castle Hohenlimburg, the moated castle Werdringen („Wasserschloss Werdringen“) and the Westfalenbad, one of the most contemporary and greatest leisure centers and swimming pools in North-Rhine-Westphalia.